For some, drinking tea is a daily habit done without particular thought. For others, it is more ritualistic, involving focus and fore-thought. For a few others though, it is an extension of their very existence. An ever-present element of their world. This is the case for a tea village where nearly everything in the inhabitants’ lives, subtly or overtly, revolves around tea. One such village is Yellow Meadow or Huang Tian in Chinese. In the mountains outside of Nanping city in Fujian province, the small village has been quietly producing green tea for generations. It has been their sustenance, both financially and physically. In past days of famine and drought the tea leaves were just about the only thing available to eat. In the 1980’s, with the flooding of the village to make way for a hydro-electric dam in the nearby river, it was tea that continued to guide the destiny of the people. They needed to relocate and chose a place where they could grow tea again rather than move to a more urban setting. The land they chose had never been used for farming so, with vision toward a sustainable future, they decided to grow tea organically. For a poor village, the cost of chemicals was also prohibitive. So too was the expense of going through the expensive organic certification process. But the main reason, as the head man of the village told me, was that the tea grew and tasted better when they just let it grow on its own and with planting bamboo between the tea rows. An interesting side result was the spontaneous growth of a new kind of mushroom, aptly called “tea tree mushroom”. I’ve been fortunate enough to visit this village a number of times through the past 25 years. I’ve gotten to know some of the villagers and always feel welcomed as if I was a family member who had been away for a long time. Tea has a way of doing that I guess. I’ve also brought World Tea Tours groups there and we are always warmly welcomed and met by several of the leaders of the village. 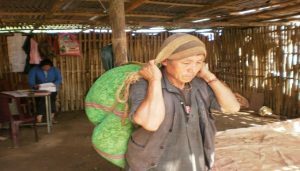 On one visit, after hiking up the mountain and wandering in the tea fields, we made our way back to the home of an elderly couple, Mr. and Mrs. Hu (nearly everyone in the village is named Hu). They are the parents of some dear friends of mine, brothers Hu Zong Yao and Hu Zong Jian. The lady who accompanied us in the tea fields and showed us the “modern machinery” they had recently started using (a pair of modified hedge trimmers), collected the leaves that we harvested and, back in the Hu family kitchen, rolled and then fried the jade green leaves in the same pan as they used to cook their meals. One could tell that this was simply a regular part of life, just like cooking the other vegetables. Soon the tea was served in the front room of the newly built yet modest home. But before we sipped Mr. Hu stood up and read a speech he had written especially for the occasion of our visit. It was formal. It was heart-felt. He welcomed this group of visitors from far away and invited them all into his home and into their lives. We drank their tea. We became part of their family. More than a few of us wished we could just stay in the village. We could work for tea! In fact, one of the group did stay. But for that story, you’ll have to ask Babette. I count myself very lucky indeed to have had several such experience in my tea travels. I like to think that I have tea-brothers and sisters around the world; tea-kin I guess you could say. Relationships that have transcended simple acquaintance or business but with undeniable roots in sharing a simple cup of tea together. China is not only the origin of tea but is the largest tea producer, consumer, and marketer in the world. Where the Western, tea-consuming countries like the US have one or maybe two dedicated tea trade shows, China has dozens. Some are regional, some are national, and some are targeted to the international market. Some have dozens of exhibitors with hundreds of attendees while others have more than 1000 vendors with tens of thousands of visitors spanning a full week’s time or more. The Shenzhen-based Huajuchen Industrial Co. produces 18 different tea-related trade shows around China. One of the fastest growing international tea fairs is in the coastal city of Xiamen, Fujian province. Xiamen Jinhongxin Exhibition Co. puts on the China Xiamen International Tea Fair. Since its inception seven years ago, the show has expanded from four days to five; from two halls and 16,000 square meters to eight halls and 63,000 square meters; from 221 exhibitors to over 1,000 and from 43,656 attendees to 86,000 (not including thousands on the last day which was open to the general public). In fact, the event has grown so large that this year they are adding a second show in the spring in addition to the original one in October. The Hong Kong International Tea Fair and concurrent Tea Competition has been attracting tea producers, buyers, and experts for the past 9 years. For over 100 years, Hong Kong has served as a hub for tea trading between China and the rest of the world, and it remains a vital trading port. In 2017 there were more than 15,000 visitors and 225 exhibitors from around the world. The International Tea Cuppers Club participated in both of the Xiamen and Hong Kong fairs and hosted its annual international Cup Warming tea tasting presentation for the 5th year in Hong Kong and 6th year in Xiamen. As in the past, producers and experts from many origin countries were invited to introduce their land’s tea culture and allow the attendees to taste examples of either teas that are exemplary of their kind or teas that are unusual and not easily available without deep connections. The events at both fairs were very well attended as usual and we welcomed several special presenters, many of which were winners of various tea competitions. For both events, ITCC Director Dan Robertson MC’ed the Cup Warmings. In Hong Kong, represented regions included several areas within China, Sri Lanka, India, USA, and Japan. The selection of teas that were sampled was very diverse. The China speakers were introduced by Huang Shuwei who set the stage for a fermented tea from Ya An in Sichuan province, a green tea from Emerail tea company in Guizhou, and a new green tea by Jacky Mingyue Xiu of Xingguo Yixingyuan Tea Co. called Fang Tai Mei – White Jade (first place green tea winner in the HK competition). Another competition 1st place winner was also presented, a specially made black tea by Lumbini tea estate in Sri Lanka. From India was a tasty example of the ubiquitous Masala Chai. From the US, Stacy Robertson introduced a green tea from the Great Mississippi Tea Company. All attendees were surprised to learn that there was tea production in the US and were eager to taste the tea which was specially made for the presentation. Asuka Inc.–a producer from Japan–introduced an especially nice Gyokuro which was thick and rich with umami flavor. Special thanks to QZ Zhang who did a magnificent job of translating. In Xiamen, an equally broad group of presenters and teas were to be found. With translations provided by Hydron Gao, ITCC Vice-Director for China, attendees were treated to a number of first-time experiences, not the least of which was an introduction to Argentina teas and a tasting of a benchmark black tea brought by tea farmer and ITCC member Roberto Swier. Another first was a chance to taste freshly made Japanese Mat Cha. Dan and a representative of a Japanese tea company were furiously whipping up bowls of Mat Cha as the presenter spoke about the different kinds of teas and their origins. A wonderful white tea from Nepal was also featured along with information about Nepal tea production and regions. We were very fortunate to again have a chance to sample Jacky Xiu’s Fang Tai Mei – White Jade (which had also taken 2nd place in the Global Tea Championship). Mr. Anshuman Kanoria from Balaji Agro International Tea Company in India introduced teas from his country and we tasted a smooth but flavorful tea from Sikkim’s Temi tea estate. For a change of pace, Dan introduced Himalayan Ice, a special tea which was infused in cold water for ten hours prior to serving. He also brought along a black tea that was made by the Great Mississippi Tea Co so the US was represented as well. While not Camelia Sinensis, one of the most popular “teas” in Russia is Ivan Cha and it was a pleasure to learn about this historic beverage from Alexander Khlynov. Audience members asked many questions and seemed quite interested in all the regions. The entire program just fit within the 90-minute time slot but easily could have lasted for another hour. Thanks again to all the presenters and the organizers of the tea fairs. We look forward to connecting with many of our members again this year and are pleased to announce plans to attend the tea fair in Shenzhen. Any tea lovers who are in the area, please plan to stop in and enjoy learning and tasting. Contact ITCC for a current schedule of the tea fairs we will be at as well as tea tasting programs and events hosted by our members worldwide. Once thought to be the highest mountain in the world, Kanchenjunga looms over the foothills and valleys of the southern Himalayan range. Geographic boundaries are of little concern to the ancient undulating landscape. The unique environment has both nurtured and challenged any living thing that dares to enter its realm. The inhabitants are stalwart and enduring. Hundreds of unique plant species are found there. Himalayan firs, oak and birch trees make up the dense forests. Rare orchids and rhododendron add a spark of color to the hillsides. Citrus fruits impossibly thrive in the rocky soil and cool temperatures, and verdant tea gardens cover the slopes and plains in a blanket of green. Parts of Nepal, Tibet, India and Bhutan are within view of the majestic icon whose five peaks look down on famous tea gardens in Darjeeling, Sikkim, Kalimpong, Pedong, Ilam, Hile and Taplejung. It seems an unlikely place to grow tea. These gardens cling to the hills surrounding the mountain with its ever present swirling, blowing cap of brilliant snow. The steep slopes are often precarious, even for sure-footed Sherpas. Landslides are common, especially when it rains. The entire area is prone to earthquakes. Wild tigers, boar and other deadly predators still roam the forests. Temperatures in Darjeeling can reach a low of 0◦ C (32◦ F). 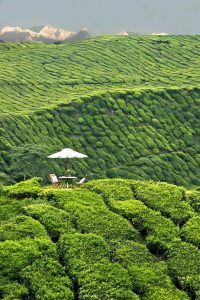 While Kanchenjunga reaches an elevation of 28,169 feet, tea gardens in Taplejung, Nepal are perched at 7,300 feet and in Darjeeling, India, as high as 6,700 feet. Compared to tea cultivated at lower elevations, the “China bush” of the Himalayas grows much slower resulting in much lower yields. 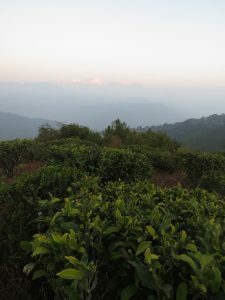 According to tea producer and trader Rajiv Lochan, it is the stressors of this environment that give the teas their unique characteristics. Tea gardens on the North-facing slopes are exposed to the unrelenting fresh, cool air descending from the mountains — one of the key factors that contribute to their special aroma and flavor. Tea planting dates to the British starting in the mid-1800s. Smuggled seeds that sprouted enroute from China were first planted in Darjeeling in 1839, though actual production followed a few years later. There are stories of earlier plantings. Kalimpong (which was part of Bhutan at the time) was a key trading hub connecting India and Tibet through the Jelepla and Nathula passes. Because of the natural geographical advantage, and its proximity to Lhasa, Tibet, it is said that some industrious Chinese businessmen set up tea production in the Kalimpong area to supply the Tibetan market in competition with suppliers in Yunnan. These stories are now recorded only in the memories of a few local elders, but remnants of tea gardens can still be found in places like Pedong. While Kanchenjunga’s west half is in Nepal, the east is bordered by Sikkim. A sovereign kingdom until 1975, Sikkim is unique for its environmental diversity. It has the lowest population of all Indian states, and nearly 25% of the area of Sikkim is within the Kanchenjunga National Park boundaries. Temi tea estate in Sikkim was planted in 1968 in part to accommodate an influx of Tibetan refugees. The 500 acres of tea trees makes it only tea estate in Sikkim that produces quality orthodox teas, mainly for export. In Nepal, tea plantings date to 1868 with a gift of tea seeds from the Chinese Emperor to the Nepali Prime Minister. The first tea factory in Ilam was built in 1868, according to Udaya Champagain, head of the Gorkha tea estate. “One unique feature of teas from this area is that the bushes are relatively young. Also the land was completely virgin forest before planting tea bushes,” he said. Champagain feels that these factors, combined with the pollution-free, organic environment and the cool, humid mountain air distinguish these teas from all others. Depending on weather, there are generally four harvest seasons. The new shoots of first flush are plucked around the third week of March through the end of April. Second flush teas are harvested from mid-May to mid-July. Monsoon teas get picked from the 16th of July to the end of September. The final harvest extends from October through the 15th of November and is known as the Autumnal flush. 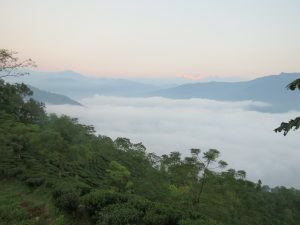 Unlike their neighbors in Darjeeling and Sikkim, many of the tea gardens in Nepal were started by collectives of farmers who pooled their land for the common good. The idea for the Kanchenjunga Tea Estate was founded by Baskota (first names only are common), who was inspired by a visit to the tea gardens of Darjeeling and the higher standard of living the workers enjoyed. Ultimately he was able to persuade fellow farmers to join together to improve their quality of living. One of the newest gardens, Pativara Tea Cooperative, is in Taplejung district and is part of the Central Tea Cooperation Federation. Its slopes greet Kanchenjunga each morning at an elevation of more than 7,300 feet. 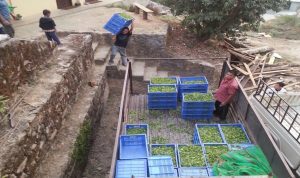 The cooperative produces only green tea for sale in the local markets. Other gardens belong to marketing cooperatives like HIMCOOP (Himalayan Tea Producers Cooperative). Many of these Nepal gardens produce the traditional black teas but some have gotten very creative, even innovative in the teas they are producing, including white teas, oolong teas, and steamed (Japanese style) green teas. The Gorkha Tea factory received organic certification in 2009. Some of its teas are so unique that specially skilled pluckers and tea makers are required to make their signature gold and silver teas. “Only 50 kilos of these teas are produced in the entire year,” says owner Udaya Chapagain. The jewel of the foothills remains Darjeeling. Known as the “Land of the Thunder Bolt or Thunder Clap” in Nepali, much of the tea growing area of the hills, up to the Teesta River, was once part of Nepal. In fact, most of the people in the area, and certainly many of the tea workers, identify themselves ethnically as Nepali or Gorkhali. Darjeeling possesses unique features which are apparent in the teas. Elevation of tea growing ranges from 1,500 to over 6,000 feet. Darjeeling tea growers talk in terms of the “muscatel flavor” and the “bouquet” of these teas. 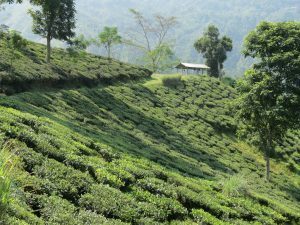 “Tea bushes growing on the slopes of the cool, humid but well drained gardens thrive in the rich soil,” says Nibir Bordoloi from Glenburn tea estate. From the original planter’s bungalows, now restored to a luxurious boutique hotel, one can sip a cup of tea that was made only hours before, while watching the sunrise on the mountain. As the first light of the day slowly expands from the golden peaks, it brings renewed vitality not only to the nearby town of Darjeeling but to all the green tea leaves that drink up the sun’s rays. Glenburn has always made traditional Darjeeling teas with full body and notes of citrus. Numerous pomelo trees grow on the property as well as oranges. Today the factory makes several “specialty” and signature teas that go beyond traditional techniques. One such tea, nick-named “spring in a cup” by one of their buyers, has multi-layered complexity that evolves with subsequent infusions, ranging from a gentle spring breeze and flower buds at first sip to citrus and green banana in later steepings. Glenburn was founded in 1859 by a Scottish tea company while the Steinthal tea estate was established by a German in 1852. One of the oldest estates in the region, Steinthal is a sprawling estate at the top of the production elevations. Located just near Darjeeling, these teas are typically light and aromatic. Flavors range from floral and fruity in the first flush to deep and mellow in the autumn. A stay at their Singtom bungalow usually includes a visit to the 360 point where one has an unobstructed view of Kanchenjunga and many surrounding tea gardens. Tea buyers and lovers that frequent the hills will tell you that each of the gardens produce a distinctly flavored tea. In truth, one can take a lifetime learning to recognize a garden by blind taste. Now, with so nearby gardens producing wonderful and unique teas, one may need to live as long as the mountain itself to experience all the wonderful tastes and aromas that sprout from this enigmatic and radiant region near the top of the world. I guess the wishes of the immortal tea sage Lu Yu can not be denied. I'm honored to have been asked again to present at the World Tea Expo - Origin Tea Tasting program (May 28) as well as give a demo of the Chinese Gongfu Tea Ceremony (May 29). Please join me in sharing knowledge about and tasting some great teas. The tea for the Gongfu Tea Ceremony will be the champion Mi Lan Xiang Dan Cong! In addition, join with other tea lovers, traders and producers at the 4th Annual ITCC Cup Warming at WTExpo for some tastings of special teas, presented by experts and producers from 5 countries. This is always an enjoyable and educational event. Open to all and no charge. Visit Dan and friends in booth #542 – World Tea Tours / The Tea House / ITCC for lots of special surprises and discussions with a variety of tea experts. 5/28 8:00-9:30 am, World Origin Tea Tasting: Lecture and tasting of 5 special Chinese teas. 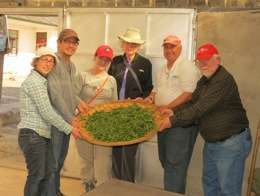 10:00-2:30, World Tea Academy: assisting with tasting of Yellow tea Huo Shan Huang Ya. 5:30-7:00 pm, ITCC Cup Warming: tea tasting social open to all, no charge, teas from 5 countries. 5/29 11:00-5:00, visit Booth #542 - World Tea Tours / The Tea House / ITCC. 2:00-2:30 pm, Chinese Tea Ceremony demonstration on Main Event Stage. 5/30 11:00-5:00, visit Booth #542 - World Tea Tours / The Tea House / ITCC. 5/31 11:00-4:00, visit Booth #542 - World Tea Tours / The Tea House / ITCC. Continuing with its tradition of exploring the finer aspects of our favorite brew, the most recent ITCC Cupping Event focused on gaining a better understanding of the effects of the processing steps in tea making. 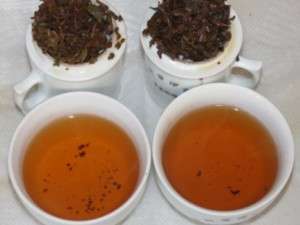 For this Cupping Event, several gardens in Darjeeling generously agreed to produce special samples which were intentionally manipulated during processing to highlight specific “defects.” While common in many teas to a small degree, these usually undesirable attributes can be difficult for most tea drinkers to recognize clearly. Even more so is to understand why a tea tastes the way it does. Professional tea tasters also understand the process of tea making and over time, learn to recognize the effects of each step on the appearance, aroma, shape and taste of the tea. From the moment the leaf is plucked, it begins a series of chemical changes. In essence, the leaf begins to decompose. Left alone the leaf will slowly dehydrate, enzymes will oxidize, molecular structures will change and the leaf will return to the elements out of which it grew. The process of tea making carefully and intentionally manipulates these stages to produce a specific result. Fundamentally, once picked, the leaves are brought to the factory for withering. In the case of black tea, the leaves are then rolled. Next they are exposed to the ambient air and allowed to oxidize. Lastly they are fired. The withering allows moisture to evaporate from the leaves. Rolling breaks the cell walls and brings the internal juices to the surface. In oxidation, the compounds in the leaves react and change. Firing/Baking stops the oxidation and removes the remaining moisture. There are other purposes and effects of the different steps and some steps may be repeated or additional steps (like breaking) may be undertaken to create the desired outcome. Timings, temperatures and techniques can be adjusted to compensate for variables like season, internal leaf moisture, ambient air temperature and humidity, time of day, etc. It is very much an art to manipulate all these variables and achieve the desired goal: a perfectly made tea. If any of the steps are improperly done, the outcome can be far from the tea maker’s mark. What if leaves of different size and quality are plucked and mixed together? What if they are withered either too much or not enough? What if the rolling is excessive or insufficient? What if the leaf gets under or over oxidized? What if the firing is too long or short and the temperature is too cool or hot? What if the finished tea is not sorted well and leaves of different sizes (which will infuse differently) are mixed together. All these things shape the final product and either make it an exceptional sensory experience or ruin it. The ITCC Cupping Event paired properly made teas and “manipulated” teas from the same gardens. Cuppers were not only able to become more familiar with the uniquenesses of each garden, but could also have – more or less – a baseline with which to compare the defective samples. There were five pairs; the defects investigated were: insufficient rolling, causes of excessive astringency, over-firing, excessive oxidation and over-withering. Cuppers followed the prescribed infusion method using professional tea cupping equipment and then recorded their impressions for all to see on the ITCC website. Other variables such as water pH and source were recorded. One Cupper made the most of the winter season and used snow as the water source. Also published on TChing. blog on April 25th, 2013. Sometimes, when you search long enough, dig deep enough, and study hard enough, you find yourself facing an obstacle that comes not from outside, but from within. One’s preconception and understanding become themselves a limitation. One must somehow come to terms with the awareness that one’s perspective faces a fundamental challenge and that to deepen one’s knowledge you need to see things from another angle. The purpose of the World Tea Tours – Immersion: Pu Er program this past November was to gain a deeper understanding and knowledge of this ancient and sometimes esoteric tea through intensive, hands-on training with some of the most renowned experts in the field. These experts live in the world of Pu Er tea and understand things in a more intrinsic way. They have acquired their knowledge within the context of their own culture and senses and by spending countless hours drinking in the lessons from trees hundreds, if not thousands, of years old. In the West, we often consider our perspective to be the best and most accurate way of understanding and communicating a subject. Yet, it was on the first day of the program that we learned that we needed to expand our minds and look at something as basic as tea tree classification differently from how we are used to thinking about it. We are taught that the tea plant belongs to the genus Camellia. We simplistically consider that there are two members of this group, Camellia japonica, a flowering bush, and Camellia sinensis, from which tea is made. Further, we believe that from the latter, there are three varietals, Camellia sinensis sinensis, Camellia sinensis assamica, and Camellia sinensis cambodi. From these, there are a number of plant cultivars, which can, in turn, be further segregated into thousands of sub-cultivars. According to the Chinese system, however, these classifications are notably imprecise and oversimplified. We tend to consider things from the point of view of the present and to forget that plants as we know them now have evolved over millennia. There are uncountable variants from the “original” source – if you can even say there is one source. The Yunnan/Guizhou plateau of southwestern China is an expansive, yet contained, ecosystem from which thousands of plant and animal species have proliferated. From prehistoric times, there have been many Camellia varieties. One of them is referred to as “Dali” – also the name of a region in western Yunnan province. Over the ages, this plant (thought of as a bush that can easily grow to 30-40 feet in height) had been domesticated and cultivated in organized gardens. As a result of the adaptation to the environment, these plants transformed into tea trees that are called “guo du,” or transitionary trees. Though rare, some of these trees still exist today. They, in turn, developed into a number of types, one of which is referred to as “Pu Er.” Again named after a place in Yunnan, it is these Pu Er trees from which the other familiar tea plants across China came. In addition to the local big-leaf “Da Ye” plant, Yunnan also has a small-leaf plant. This is the ancient source for, among others, the small-leafed Dragon Well bush in Zhejiang Province. It can be said that Yunnan is the primordial origin for the cultivars that are used for making oolong and black teas as well. It is thought by Pu Er scholars that the Assam plants in India also come from the progenitor Pu Er trees. Yunnan is not only the cradle of the tea plant, but also the birthplace of post-fermented teas, the most famous of which is also called Pu Er, named after the ancient tea-trading town. This point can be confusing in that the name Pu Er refers to both a plant varietal as well as a specific type of manufactured tea. So then the question ultimately comes down to: What is a Pu Er tea? In fact, this is a matter of some contention and even experts disagree on the precise guidelines of what qualifies as Pu Er tea. Some say that any post-fermented tea that is made from the Yunnan big-leaf tea bush can be called a Pu Er tea. Others maintain that big-leaf tea bush leaves that have been processed as green tea and dried under the sun must be used. Some maintain that the geographic location is also critical and that the transplanting of a Da Ye bush to another region disqualifies it as true Pu Er, even if the same manufacturing procedure is followed. There are several Pu Er production centers in Yunnan and certainly Dali and Lin Cang producers also feel they are producing genuine Pu Er tea. In China’s Pu Er tea circles, books and magazines abound that debate the finer points of the definition, citing the views of various renowned, but conflicting experts. Besides environmental factors, small differences in processing methods also lead to distinctions between different manufacturers. Length of withering time, temperature, pan-frying duration (to arrest oxidation), amount of rolling, and drying conditions all result in nearly limitless variations. The microbes that create the fermentation can vary. Then come the effects of steaming and compressing into cakes, either immediately or after some time has passed. 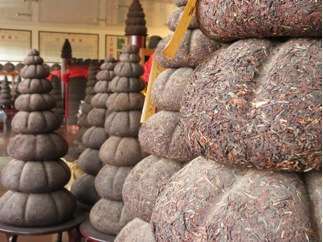 The two types of Pu Er are based on method of fermentation, namely Sheng (raw) and Shu / Shou (ripened). While the Sheng method has been in use for centuries, the Shu method is actually quite recent. Raw Pu Er tea was shipped from Menghai to Guangdong province in the southeast. The warm, humid coastal environment accelerated the fermentation of the leaves, turning them a darker color and rendering the taste decidedly more earthy and robust in only a fraction of the customary time. With this knowledge, the famous Menghai Tea Factory (in Yunnan’s southern XiShuangBanNa prefecture) initiated this accelerated process in the mid-1970s. 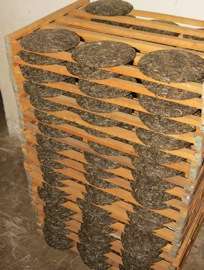 Though Pu Er connoisseurs will easily tell the difference in taste and aroma, this new technique effectively reduced the fermenting time from years to about 47 days. This made Shu Pu Er a much more viable business in that more product could be produced and sold in a shorter time. This tea is highly favored in Guangdong, Hong Kong, Taiwan, and other Pacific Asian areas. Tea from South Yunnan has been an important trade good for well over a thousand years. Transported in many ways, one of the most romanticized routes is known as the Tea/Horse Road. More of a network of trails that linked a number of trade routes in Yunnan, Sichuan, Tibet, and Qinghai, the Cha Ma Gu Dao (Tea Horse Ancient Road) was the artery for trade of all goods. 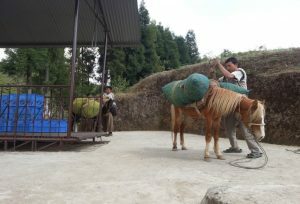 Tea was carried by both mule and man along the often precarious and always arduous trail. It is said that the naturally fermented Sheng Pu Er tea came to be so not out of conscious planning, but rather serendipitously through prolonged exposure to the elements. Taking months for a consignment of tea to reach its final destination, along the way it would have been subjected to a range of moisture and heat conditions. 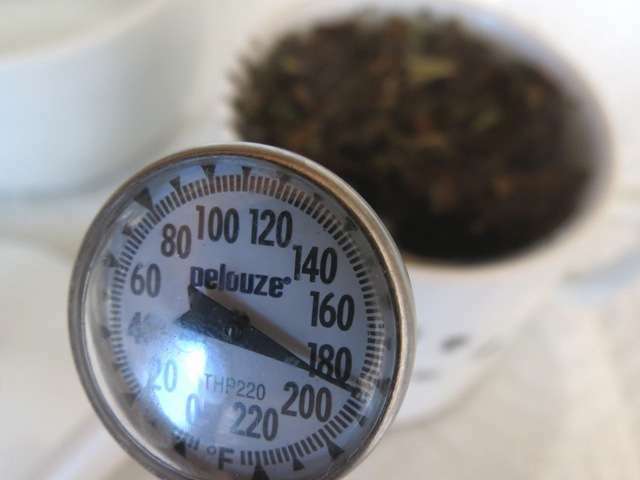 Since tea leaves are in essence a green leafy vegetable, it is no surprise that it should begin to degrade along the journey, even begin to mold and compost. Natural, fresh tea at its origin became something quite different when it reached the cup of the drinker so many miles and months later. Now this process is done intentionally under controlled conditions to produce a distinctive tea that is not only appreciated by millions, but also collected as a treasure. A well preserved cake of 30-40-year-old Pu Er can fetch amazing prices on the collector’s market. In the 1960s, a 2.5-kilo Golden Melon Pu Er was discovered in storage in the Forbidden City in Beijing (among a huge trove of tea). It had been a part of a tribute gift in the late 1800s and was insured at a value of $2.6 million. As Pu Er tea becomes better known outside China, more dealers are offering more choices from more suppliers. There can be a wide range in quality, so it is best to start slow with smaller quantities or lower grades. Get to know a particular brand and grade first; then start branching out to discover the range of tastes of Pu Er. For some tea people, a tea career is a family legacy. For others, like Dan Robertson, it began with an epiphany — a life altering experience. This was an unexpected result of a 25-year career in martial arts that included many years studying the Chinese language. The visit was the culmination of two years of tea research. In 1994 Robertson first traveled to China to make a tea documentary. “There were very few books on tea back then so I also contacted the leading tea companies finding Samuel Twinings, Peter Goggi of Lipton and The Republic of Tea most helpful,” he says. Officials in Fujian and in Zhejiang facilitated film production and on this trip “I was indeed fortunate to meet Zhu Qun who would eventually become my tea brother and mentor in Dragon Well tea,” says Robertson. The experience turned his career path from videographer to tea importer, wholesaler, retailer, educator and tea tour guide. On his return Robertson started two businesses: The Tea House and World Tea Tours. “When we travel we experience how critical tea is to other cultures,” he explains. “Tea is the social grease that allows people’s lives to roll and turn. It is a lubricant to social interaction of all kinds,” says Robertson. The experience led him to a better appreciation of the many new U.S tea customers seeking tea products and experiences they’re discovering on their own global travels. Robertson says retailers need different ways to keep up with the growing demand for education and quality offerings. As a tea professional who began in the industry when tea education was largely self-designed by aligning with mentors and seeking out tasting experiences, Robertson has an appreciation for the tools we now have through STI and World Tea Expo. “I’ve just been around for a long time. I’ve bumped into people and traveled to places searching out opportunities to gather more tea knowledge,” says Robertson. When wearing his retailer cap in his storefront, The Tea House in Naperville, Ill., he simplifies the introduction to the world of tea and greets newcomers with the three basic tea groups; green, oolong and black. Robertson seeks to match a selection with what the customer is seeking in flavor and experience. Wholesale customers, on the other hand, benefit from Robertson’s experience with growers whom he has followed for almost 20 years. “Retailers must develop a broader knowledge base so they can address their customers’ varied tastes. It all comes down to how the tea tastes and what the consumer wants,” says Robertson. 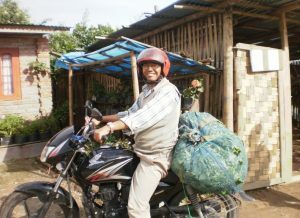 His commitment to quality education for the tea community led him to create two new experiences this year. The first is a series of immersion studies where students remain for an extended time on a single plantation during the height of the production season. The second is a tea tasting club known as the International Tea Cuppers Club, where growers send samples of teas from their farms to ‘cupping members’ who follow a professional protocol and return feedback to the growers and members. “We (tea retailers and educators) must develop an appreciation for the subtle effects of climate and the more intentional creativity through manufacturing,” Robertson explains. It is his belief that establishing a direct link back to the farms will be a valuable tool to retailers and consumers of artisan teas. “It has been an honor and a privilege to return to the sources every year and to share this experience with others,” he said before departing to guide his current tour to China, Tibet and India.